A soft set strawberry jam made with whole strawberries. Serve on hot buttered toast, warm scones or flaky croissants. 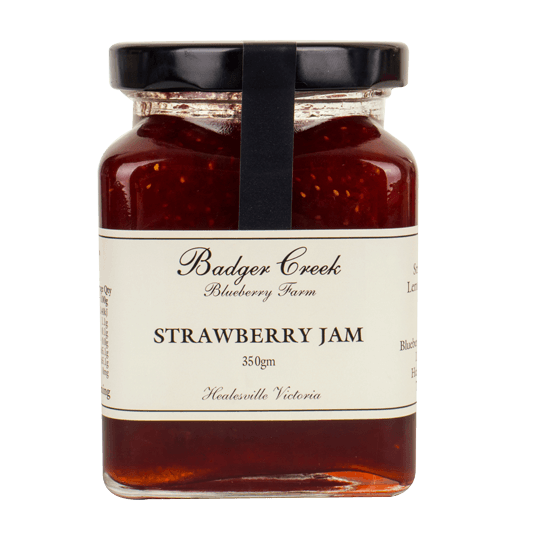 Sounds a little unusual, but strawberry jam is wonderful spread on a slice of sharp cheddar! SKU: 062. Category: Jams and Condiments. Tag: Jams.